We’ve been quite busy since last we posted to the blog. 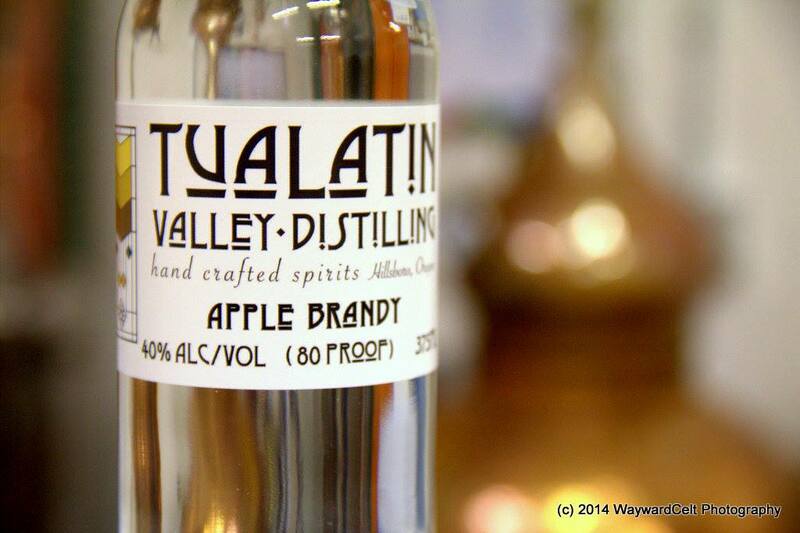 Last October we finally launch our Aged Oregon Single Malt and Aged Fifty/Fifty products to the market at the Great American Distiller’s Festival, where we also took home a gold medal for our small run Apple Brandy. We consider that quite an achievement for a distillery that was less than a year in production. The holidays were outstanding, and busy as we worked to release our second batch of aged whiskies, this time coinciding with TOAST in March. This second batch also included a single barrel bottling of our Oregon Single Malt American Whiskey aged in toasted Hungarian Oak; a wonderful departure in flavors from the American Oak profile. You’ll need to come into the tasting room for a sample to really experience the difference! 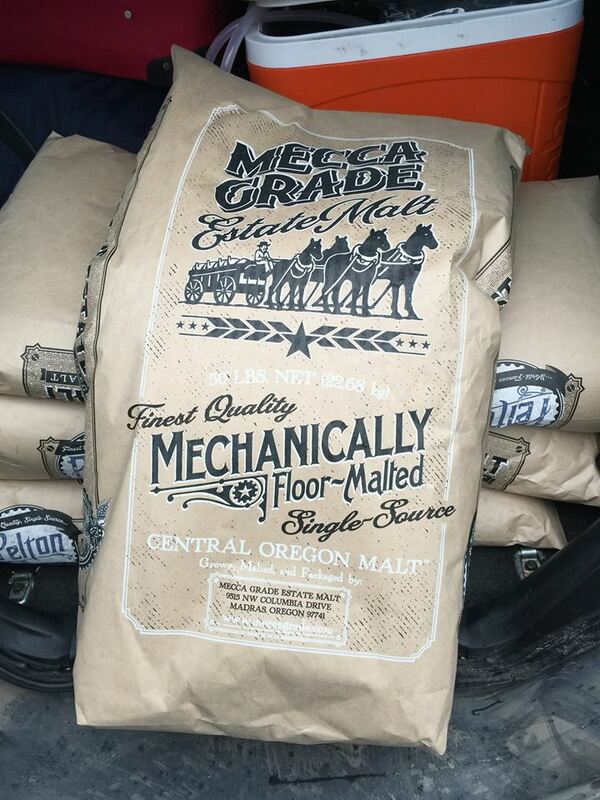 April saw a long anticipated delivery for us: the boys from Mecca Grade Estate Malt brought by some bags of their full pint, pelton varietal malted barley for us to experiment with and run as our Oregon Single Malt. While we only barreled it up a week ago, the beer strips and spirit distillation of the new make proved huge successes, so we are quite excited to see how it does in a new toasted Hungarian Oak barrel for the next 6-7 months. We’ve also done quite a few more events where we’ve made great contacts with liquor store agents in Oregon, bar staff across the greater Portland area, as well as made some friends in the local craft made scene ranging from shoes to bespoke suits as well as straight razors and a butchery, all of whom are doing amazingly high quality craft products. We’ve also been working furiously on what chief distiller Jason has termed his “secret project”. 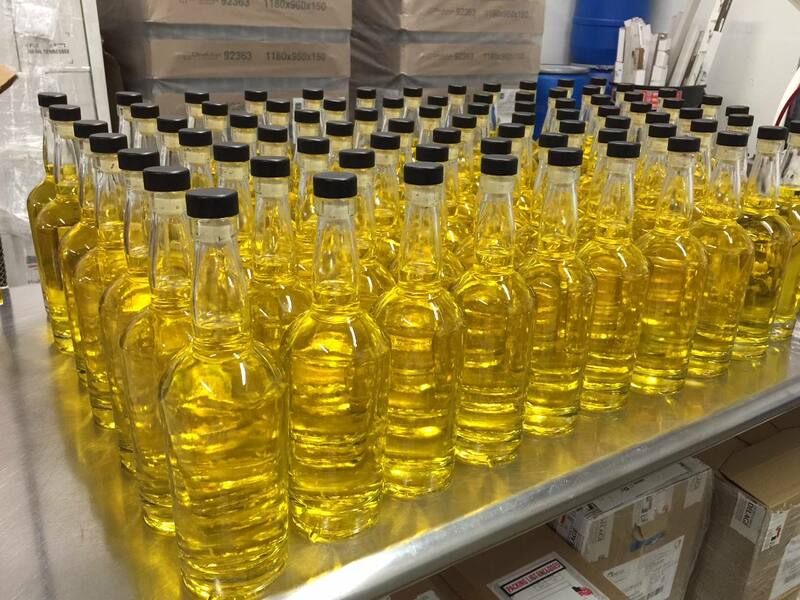 While we’re not quite ready for the big reveal, we are in the final stretch with labels at the printer. Once those labels are done we’ll be doing a big social campaign launch, so keep your eyes peeled on our social channels so you can be the first in the know and share with your friends…. of course since you’re loyal fans of the distillery you likely already have an ideas as to what we will be launching, but if you don’t here’s a small teaser: it’s a revival farmhouse spirit that we believe hasn’t been commercially produced, and likely hasn’t even been made since the 1650’s. It’ll blow your mind when you taste it! But don’t worry, the neon color only comes for the saffron we used. Stay tuned! ← We have only yet begun!